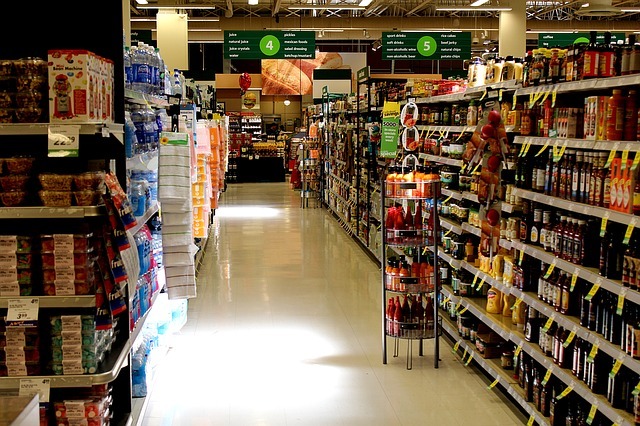 When shopping in a grocery store, you will see more and more aisles filled with products that are labeled gluten-free. The gluten-free industry has grown 44% from 2011 – 2013. Some 24% of consumers eat gluten-free or have someone in their household that eats gluten-free, and 75% of consumers that eat gluten free have not been diagnosed with celiac disease or have a gluten sensitivity but eat these foods because they think they are healthier. There are some products out there that have never contained gluten in the first place but are now labeled gluten-free because it has become a lucrative business for the manufacturers. When shopping for gluten-free products, it is important to read labels, because many gluten-free products have second to none nutritional value. The grains have been milled which is a process that removes fiber, many B vitamins, and iron; they have added processed sugars, salt, unhealthy fats and fillers for taste; not too different from processed foods that contain gluten with the exception that they are gluten-free. A cinnamon bun is still a cinnamon bun whether it is gluten-free or not. With all of this said, there are healthier gluten-free choices from bread and pasta to crackers, cereal, snacks, and sweets. I would encourage you to use the information on the label to make an informed decision. For the bread – look for ingredients such as flax seed, brown rice flour, quinoa flour, coconut flour, potato flour, arrowroot flour, almond meal, chia seeds, pumpkin seeds and buckwheat. Also look out for the daily percentage of sugar, salt and unhealthy fats such as corn oil, palm oil and corn syrup these should be avoided if possible. For the pasta – quinoa, brown rice, and buckwheat are good choices; some have added flax for extra fiber. If you decide to go for corn pasta, a good choice would be certified organic, most conventional corn is GMO. For the crackers and snacks – look for ones that have seeds, nuts, almond meal, quinoa, brown rice flour, coconut oil, extra virgin olive oil and raw honey or maple syrup. For the cereal – there are a number of manufacturers that are starting to manufacture healthier option of gluten-free cereals. For example Chex cereal, the nutritional value has not changed after they removed gluten. You can also find buckwheat pancake mix which has good nutritional value and in my opinion, has more flavour than white flour pancakes, just add blueberries or apples for additional health benefits. Look out for bad fats and processed sugars. For the muffins, sweets, and cakes – the ingredients to look for are brown rice flour, almond meal, amaranth, millet, buckwheat, quinoa flour, coconut flour, pure maple syrup, raw honey, coconut oil, pure butter, raw nuts, pure cocoa and raw coconut. For the dairy – when it comes to yogurts best ones are plain organic without added sugars and colours. If you prefer fruit in your yogurt and some sweetness just add fresh berries, a little pure maple syrup and a pinch of cinnamon. Most cheeses are gluten-free, but read the label some cheeses have added ingredients that may not be gluten-free. The healthiest option is to make your gluten free meals from real wholesome ingredients, the ones that do not have a label with a list of ingredients. There are many healthy gluten-free recipes available now, check out www.onlyglutenfreerecipes.com, which includes vegetarian and recipes for kids that they love. Where to buy gluten-free products? Many supermarkets now carry a good selection of gluten-free products, but if you are looking for a special ingredient you may have to go to health food stores or stores like Wholefoods if you live in North America. The other option is buying on-line, I buy all my certified organic gluten-free spices, flours and pasta on-line, I find that the cost is reasonable and many of them ship for free if you buy certain dollar value. Costco also carries a selection of gluten-free products. Remember if the label has an ingredient you do not understand or are unsure of the product contact the manufacturer.